This morning I woke up to a fab surprise of the lovely Zara from http://zarakate.blogspot.ie/ (check out her blog!!) 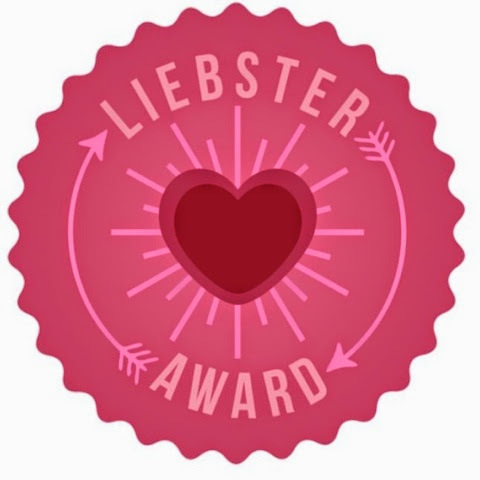 nominating me for the Liebster Award. This was such a lovely surprise because as you know I have not long since started my blog, and so this was very very exciting! So thank you very much Zara! 1.If you could live anywhere in the world, where would you choose? 2. Who is your ultimate style inspiration? I just LOVE Harry Potter, and have done ever since I read the first book when I was in year three. I remember being younger when the Prisoner of Azkaban film was released and Emma Watson wore beige cord trousers through the best part of the film- it made me want them SO bad! I still really look up to Emma Watson's style now, and so I think that she is probably my biggest style inspiration. 3.What book had a lasting effect on you? Apart from the Harry Potter books (obviously) I think that a book that had a big impact on me was definitely The Perks of Being a Wallflower by Srephen Chbosky. It is such a moving and inspiring sory, and I have re-read it many times since! 4. What clothing item or accessory can you not live without? Now this is quite an easy question for me, the answer is definitely a pair of black leggings!! They are just super comfy and easy to wear with anything, especially for those relaxing days indoors! 5.What era should you have grown up in? I think that I would have really loved to have ground up in the sixties, although I am aware that this decision may have been heavily influenced by my love of musicals such as Grease and Hairspray!! Ooops! 6. Who do you aspire to be like? 7. What inspired you to start a blog? 8. What is your favourite memory? 9. If you could meet anyone, dead or alive, who would it be? As previously mentioned I am a BIG Harry Potter fan, and so it would be an absolute dream for me to meet any of the cast (especially Emma Watson or Rupert Grint!!). Wow that one was a bit easier to answer!! 10. What is your all-time favourite album? I have to admit that I am certainly not the best when it comes to identifying artists of a song. I tend to just listen to a song if I like it, not because who it is by. But I think my all-time favourite album would be the S Club 7 CD where they are all sitting on a car on the album cover haha! I'm sure you all know which one I'm talking about. This CD just totally reminds me of being a kid, and dancing away at school discos. 11.If you wrote an autobiography, what would you call it? Although I have had many wonderful memories, unfortunately everyone seems to experience some bad ones too, and I have had a fair few. However! The friends that I have made through my dance school over the last few years have literally been the best that I could ask for, and have definitely helped to make me who I am today! So, I think that I would call my autobiography 'Dancing in the rain'!! 1. What is your favourite place you have ever visited? 2. If you could go shopping with any celebrity, who would it be? 3. Would flavour of Ben and Jerrys ice cream would you invent if you had the chance? 4. What would be your last supper, (starter, main, desert and drink)? 5. What book would you most highly recommend? 6. If you could play any character in a film who would it be? 7. What was your favourite toy from your childhood? 8. Who is your all time favourite Disney character? 10. If there was a book that told the rest of your life, would you read it? Please participate as best you can it's a lot of fun and a great was of sharing your personality, leave a comment with your link to your answers so that I can check your post out!